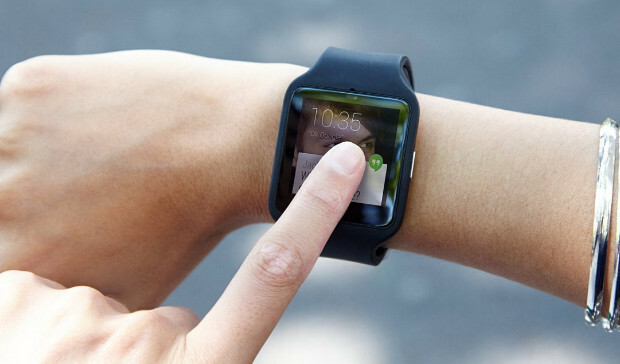 Often seen as fiddly, clunky and for many people a gadget seemingly without a purpose, smartwatches have thus far failed to capture the public’s imagination, despite a ton of hype being stoked up by manufacturers and tech websites. I like watches. Show me a chunky, all weather man’s watch with a proliferation of dials, rotating bezels, luminous markings and complicated looking markings and my wallet is already half open. Like those blokes who buy hi-fi systems full of pointless sliders, meters and flashing lights, I like complicated timepieces, even though most of the functionality remains unused (I’ve yet to descend 100m to test the deep sea resilience or set multiple stop watches. Or indeed use the tachymeter feature, whatever that is.). Given that my watches generally take a physical hammering, my current timepiece has hardened crystal glass and titanium casing, with the whole thing powered perpetually by solar energy, so it’s most likely going to outlast my time on Earth. But I’m a gadget guy too, and I’ve found myself increasingly drawn to the new smartwatches coming through, even though they fail on many fundamental watch-like levels, with battery life being the biggest disaster. Even the Apple watch struggles to last a whole day and things aren’t any better at the budget end, although some cheapo models manage to comfortably outdo the higher end models. Apple made all the headlines with the release of its predictably swishy but pricey smartwatch, but for lesser mortals on smaller budgets, there’s a proliferation of cheaper alternatives, from the more basic Pebble range to a slew of Android offerings. With Android watches – which all run the Android Wear OS – you’re pretty much going to get the same user experience (give or take a button or two), whether you buy the cheapest one you can find or go mad and shell out £1,100 for the gorgeous TAG Heuer Connected. Mindful of the huge limitations of the current crop of watches – and the fact that any model bought now is going to be superseded swiftly in the coming months, I tipped my toes in the water a six months ago with a sub-£100 watch. I was surprised to see the well reviewed Sony Smartphone 3 (with black strap) being advertised for as cheaply as £90 brand new on eBay, so decided to give it a spin – after all, I’d be getting exactly the same functionality as a high-end Android watch, so it seemed a good way to find out if I was going to warm to the concept or not. 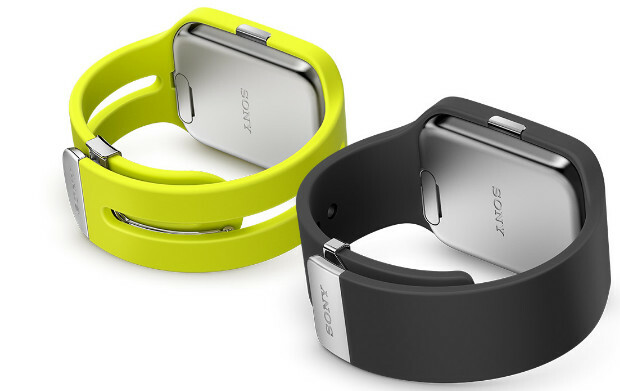 So off went the order and the next day the Sony Smartwatch 3 showed up. First impressions were fairly favourable: it’s not as large as I feared and it was light compared to my old school analogue watch. It’s not what you’d call a looker though and it’ll look fairly ridiculous on anyone with a small wrist: less smartwatch and more electronic tagger. It’s not perfect though: that big flat screen appeared to be inviting scratches and the strap – which is pleasingly easy to adjust – does tend to catch on clothing more than a regular strap. It’s also something of a dust magnet too. The first thing I liked was the ambient mode which – thanks to Sony’s transflective screen – means that I can read the time in daylight without having to tap the phone or perform ninja wrist movements to light up the display. It’s nowhere near as readable as a normal watch of course – sometimes you have to angle the watch to catch the light in the right way – but its miles better than employing battery sapping wrist gestures or having to tap the thing like a 1970s LED watch. Being able to change watchfaces as the mood takes was kind of fun too, although I soon stuck to the one that was the most readable, despite its lack of bells and whistles. 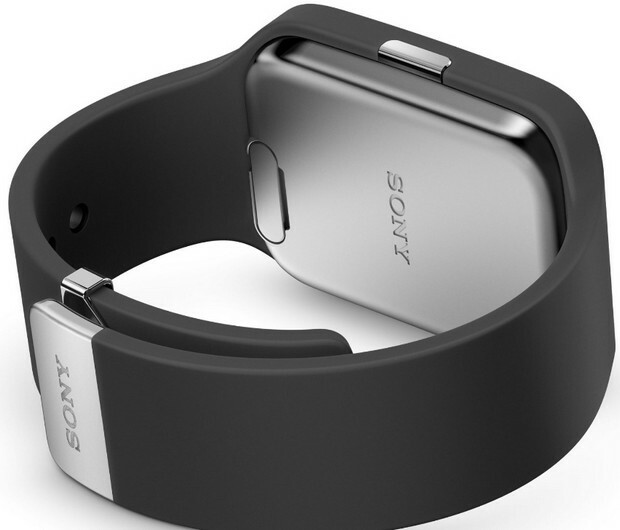 Pairing it with my Android phone (Sony Z3 Compact) was straightforward enough, and I was soon up and running and ready to experience the world of the smartwatch, and get my wrist buzzing with vital notifications. At first, things were a bit annoying as I was constantly receiving pointless notifications from unwanted apps, although a quick rummage around in the menu let me choose only the stuff I wanted to hear about. Once that had been fine-tuned, it was a real convenience to be able to check messages on the move and get a wrist full of buzzing when my phone was ringing (I was always missing calls, so this was quite handy). 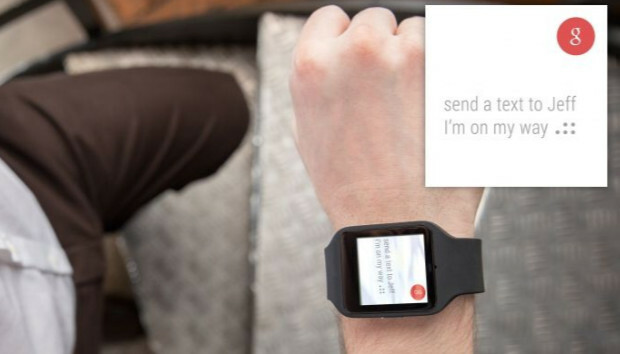 I quickly grew to enjoy being able to see what emails, texts and instant messaging were arriving without having to yank out my phone, and I particularly liked getting Uber cab notifications on my wrist. The buzzing alarms were handy too. Although there’s no keyboard onboard, voice dictation works surprisingly well, and it’s been a real convenience being able to bark my apologies into my phone when I’m dashing down the road, late for a meeting. I was sure to look around to make sure no one was seeing me first of course, because talking into a watch in the street really isn’t cool. Why anyone would buy a watch that lets you make calls on watches is truly beyond me. The Sony comes with built in GPS which seems a bit like battery-killing overkill to me, but having the watch display Google Maps navigation when you’re walking around is rather nifty. Even better it works with your phone’s GPS so you can save battery life. It comes into its own when you’re stumbling through a dodgy area late at night and don’t fancy illuminating your presence with your fancy smartphone – a tap on your watch reveals an arrow and the distance to the next turn. Simple and effective. An unexpected moment of smartphone pleasure came when I realised that I could control music from my phone to the Bluetooth speaker in the bathroom when I was soaking in the bath. Not only could I do basic commands (stop/next track etc) but I was able to ‘talk’ to Spotify and instruct it to play specific artists or tracks. Neat. It was also handy being able to reply to WhatsApp/text messages and dictate short answers without having to get up from my soapy relaxations. Hardly essential stuff of course, but it sure made my old analogue watch look a bit thick. The watch is IP68 rated water protected, meaning that it’s dust and water proof up to 1.5 meters for up to 30 minutes, so it’s fine for your bath but I wouldn’t risk going for a cross channel swim with it on. Although there’s no heartbeat monitor built in, having onboard GPS means that this is a good watch for fitness types, although my needs go no further than counting steps via Google Fit and now I know exactly how far my flat is from the pub. Battery life on the Sony turned out to be better than unexpected, with the watch usually good for two days use without charge, although this is comically bad compared to a traditional watch. 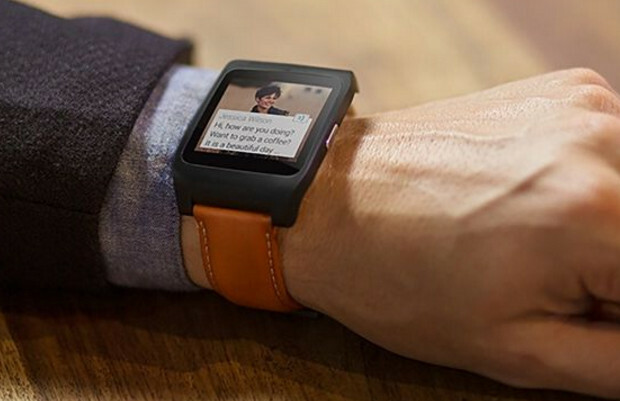 Lined up against the current batch of smartwatches available, this is above average, so long as you turn off the GPS. However, the conundrum with smart watches remains the same: the more features manufacturers bolt on to make them seem more attractive to consumers, the worse the battery life gets. Charging the Sony is a bit of a fiddly business too: although it comes with a standard Micro USB port on the back (this is a Good Thing as it doesn’t need its own proprietary charger) you have to pull back a reluctant waterproof cover to insert the cable. It’s easier if you pull the entire watch out of its strap, but I wasn’t so keen on potentially stretching the casing so endured with the nighly grapple with the cover. If you buy one of these – or any other smartwatch for that matter – and you’re expecting to enter a new tech wonderland, you’re most likely end up very disappointed indeed. Smartwatches really aren’t life changing devices like a smartphone, but if you lower your expectations and can live with having to charge the thing at least once every two days, then they may be right for you. 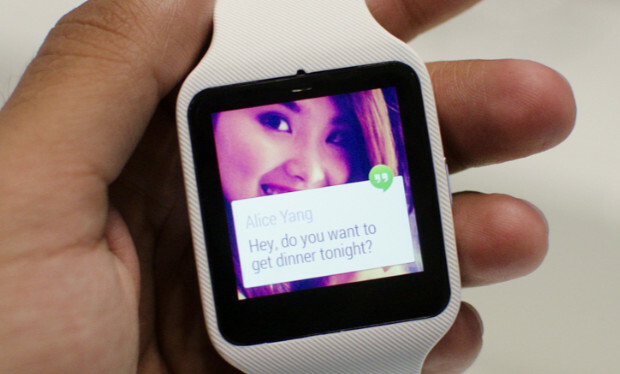 Think of them as a quite crappy watch with some extra-cool features and you’re getting close to what you might expect. Even the flashiest smartwatch can’t match the simplicity and legibility of a regular watch, but if you’re the kind of person that likes to be kept constantly in touch with your connected world, then they might find a place in your heart. 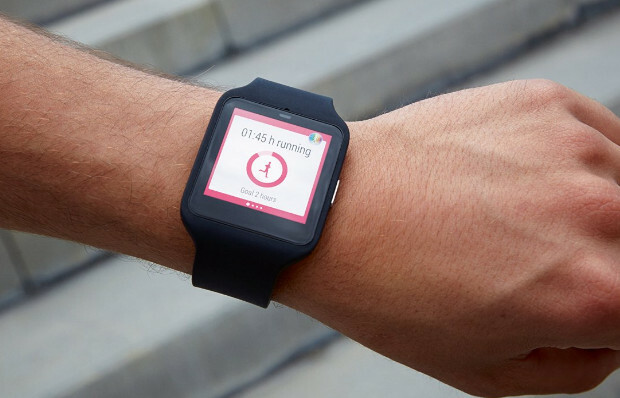 Smartwatches are still firmly in the domain of techie early adopters, although it’s easy to see that they have tremendous mainstream potential when they get the mix right. The abysmal battery life remains the biggest obstacle. Until these watches can offer at least a week, minimum, they’re not going to hold out a great deal of appeal to the general public. The same applies to the size and look of these things: most are hefty, ugly things with little of the grace or aesthetics of good watch design and few seem built to last. I don’t think I’ll be handing the Sony Smartwatch 3 down to my future grandson unlkess he’s openeing a tech museum. I’m keenly looking forward to see what the upcoming Google watches are going to look like, but right now I’d strongly advise all but the richest readers to avoid paying more than a hundred quid on a model because they’re going to go out of date at huge speed as technlogy advances. As for me, I bought the watch to review and then expected to put it on eBay within the week. Instead it has fully replaced my expensive analogue watch, although I can’t say that I don’t miss its rugged simplicity at times. Surprisingly, the Sony’s screen has managed to remain scratch-free in all this time and the watch’s battery is still good for two days. Despite the occasional sneer, I’ve enjoyed my time with the Sony and will be keenly watching developements. 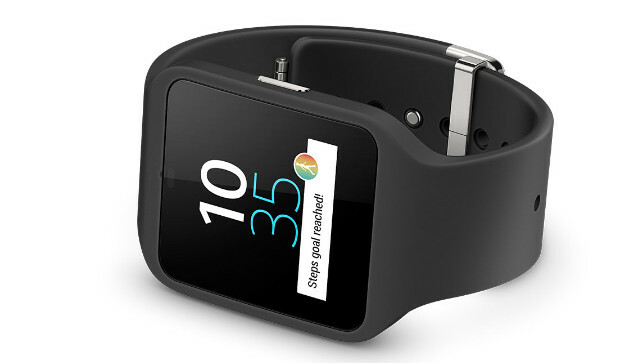 If you’re thinking of dipping your toes into the smartwatch world as well, I’d definitely say that the Sony Smartwatch 3 is worth a punt – especially now that you can pick them from just £85 new from Amazon.